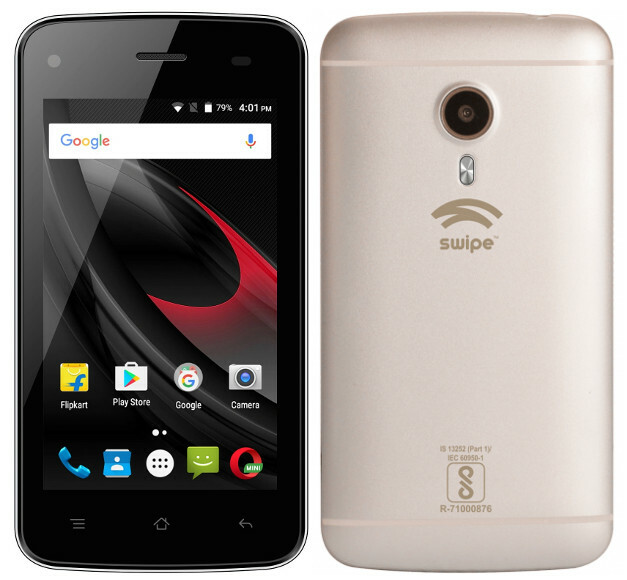 Swipe has launched the Konnect Star smartphone in India. It has a 4-inch WVGA display, powered by a 1GHz quad-core processor with 1GB of RAM and 16GB of internal storage. Dual SIM device runs on Android 6.0 (Marshmallow). On camera, it has a 5-megapixel camera with LED flash and a 1.3-megapixel front-facing camera. It has support for 12 regional languages and packs has 1800mAh battery. Swipe Konnect Star comes in Silver, Gold and Grey colors, is priced at Rs. 3799 and is exclusively from ShopClues.